The Rolling Stones have added a lone Canadian date to their 2019 No Filter tour. The band will perform at a Canada Rocks event at Burl’s Creek Event Grounds in the Central Ontario town of Oro Medonte, just north of the city of Barrie and approximately 90 minutes north of Toronto. The 600-acre site expects to see close to 70,000 fans of the legendary band attend the show, according to event producers Republic Live. “Canada Rocks with The Rolling Stones is a once-in-a-lifetime opportunity to see the world’s greatest rock and roll band,” Republic Live director of booking and development Lisa Zechmeister tells Orillia Matters. “Through the continued support of the Simcoe and Oro-Medonte community, we have been able to develop Burl’s Creek into a world-class property capable of hosting rock and roll’s most prolific act. A fan presale runs from Wednesday, February 13 at 10am EST to midnight EST via the Rolling Stones mailing list, with general public tickets going on sale Friday, February 15 at 10am EST via the usual outlets. 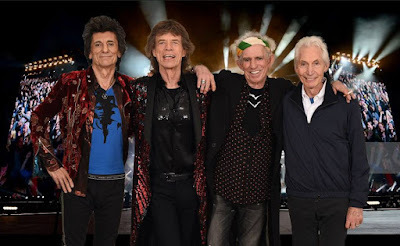 The Rolling Stones will launch the 2019 No Filter tour at the Hard Rock Stadium in Miami Gardens, FL on April 20.